Double LP version. Gatefold sleeve. 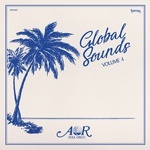 Favorite Recordings and Charles Maurice present the fourth edition of the AOR Global Sounds compilation series: 14 rare and hidden tracks, produced between 1977 and 1986 in various parts of the world. Started in 2015, the AOR Global Sounds series was born from the will of Charles Maurice (aka Pascal Rioux) to share his longtime love for the AOR and west coast movement and highlight its influence for many artists in the late '70s and early '80s. In this fourth volume, he again selected largely forgotten productions, deeply infused with disco and soul flavors. Half of the compilation's track list naturally comes from the US, homeland of this style of music, but the other half is made of productions from all over the globe, from France to Belgium, from Italy to Mexico. And for most of these beautiful songs, it comes from artists and bands largely unknown and often released as private press. As an example, "Come Back" is the result of a music talent competition won by a student band named Parenthèse, gaining a full recording session in a professional studio and the production of a limited promotional 7", which stayed completely obscure until now. "Mellow Out" comes from the only album by Pacific Dreams, which was fully self-produced and released by its leader Tommy Sweet. 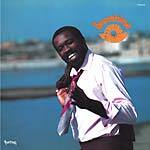 Fernando Toussaint, however, had quite a solid career and discography as a drummer, forming the Mexican jazz-funk band Sacbé with his brother, and had one solo album released in very limited quantities on Discos Alebrije, a label directed by Alain Derbez. As for "Never Was Love" by Russ Long, despite becoming quite famous when recorded and sang by Judy Roberts, it's still surprisingly undiscovered in its original version, taken from Russ' beautiful album from 1982, Long On Jazz In Kansas City. There are stories like this for each of the titles included in AOR Global Sounds Volume 4, but the best way to learn more about all these gems is to listen to them, fully remastered from originals, whether your preference is for vinyl or CD. Also features: Arlana, Omega Sunrise, Jonathan Jr., Isabelle Mayereau, Oro, Todd Mcclenathan, Mario Acquaviva, Special Occasion, Miller, Miller, Miller & Sloan and Scott Cunningham. Favorite Recordings and Charles Maurice present the fourth edition of the AOR Global Sounds compilation series: 14 rare and hidden tracks, produced between 1977 and 1986 in various parts of the world. Started in 2015, the AOR Global Sounds series was born from the will of Charles Maurice (aka Pascal Rioux) to share his longtime love for the AOR and west coast movement and highlight its influence for many artists in the late '70s and early '80s. In this fourth volume, he again selected largely forgotten productions, deeply infused with disco and soul flavors. Half of the compilation's track list naturally comes from the US, homeland of this style of music, but the other half is made of productions from all over the globe, from France to Belgium, from Italy to Mexico. And for most of these beautiful songs, it comes from artists and bands largely unknown and often released as private press. As an example, "Come Back" is the result of a music talent competition won by a student band named Parenthèse, gaining a full recording session in a professional studio and the production of a limited promotional 7", which stayed completely obscure until now. "Mellow Out" comes from the only album by Pacific Dreams, which was fully self-produced and released by its leader Tommy Sweet. Fernando Toussaint, however, had quite a solid career and discography as a drummer, forming the Mexican jazz-funk band Sacbé with his brother, and had one solo album released in very limited quantities on Discos Alebrije, a label directed by Alain Derbez. As for "Never Was Love" by Russ Long, despite becoming quite famous when recorded and sang by Judy Roberts, it's still surprisingly undiscovered in its original version, taken from Russ' beautiful album from 1982, Long On Jazz In Kansas City. There are stories like this for each of the titles included in AOR Global Sounds Volume 4, but the best way to learn more about all these gems is to listen to them, fully remastered from originals, whether your preference is for vinyl or CD. Also features: Arlana, Omega Sunrise, Jonathan Jr., Isabelle Mayereau, Oro, Todd Mcclenathan, Mario Acquaviva, Special Occasion, Miller, Miller, Miller & Sloan and Scott Cunningham. Double LP version. Gatefold sleeve. 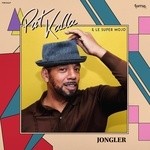 Favorite Recordings presents Jongler, the first album by Pat Kalla, produced by Bruno "Patchworks" Hovart. Pat Kalla is a musician, singer and storyteller. Patrice is his birth name, in tribute to the great Lumumba! Lover of words, French language, and music of course, he was born in Lyon, to a Cameroonian father, musician and political activist, and a French and literary mother. On Jongler, he explores from his childhood the soul, the slam, the funk ...and the art of telling stories, life being a great one. After years of touring alongside many bands (Conte & Soul, Legend of Eboa King, Mento Cloub, Voilaaa Sound System), several acclaimed tracks on two albums by Voilaaa (FVR 107CD/LP, 2013 and FVR 132CD/LP, 2017) and recently an acclaimed first EP revealing some hot singles such as "Lady Angola" or "Ancien Combattant", he comes back with this project to put a bit of primordial lightness in a rainy world. Jongler is a tribute to the African culture in honor of a father with "Sawa" origins, the tribe from the people of Makossa. Jojo Ngallé, Moni Bilé, Pain, Manu Dibango, Franco, Rochereau, Kabaselé, Fela, François Nkotti & The Black Style, all these legends' music has turned on the family turntable and the collection whetted the child's appetite. Through this new trip, Kalla revisits styles that are sometimes little-known to Western audiences, such as high life, makossa, Angolan music, afrobeat, afro-disco, and others. One could talk about "Franc CFA", one could talk about Jacques Foccart, but it's better to dance, because "the dancer seems naive, but his feet must be connected with earth to understand history." Backed by the Super Mojo Disco, a hyperactive band from Lyon with deep groove and positive energy, Pat Kalla offers us an anti-crisis project, where swaying and feel-good humor is mandatory! An album soon in the crates, beware; "c'est medicament" (it's medicine)! Favorite Recordings presents Jongler, the first album by Pat Kalla, produced by Bruno "Patchworks" Hovart. Pat Kalla is a musician, singer and storyteller. Patrice is his birth name, in tribute to the great Lumumba! Lover of words, French language, and music of course, he was born in Lyon, to a Cameroonian father, musician and political activist, and a French and literary mother. On Jongler, he explores from his childhood the soul, the slam, the funk ...and the art of telling stories, life being a great one. After years of touring alongside many bands (Conte & Soul, Legend of Eboa King, Mento Cloub, Voilaaa Sound System), several acclaimed tracks on two albums by Voilaaa (FVR 107CD/LP, 2013 and FVR 132CD/LP, 2017) and recently an acclaimed first EP revealing some hot singles such as "Lady Angola" or "Ancien Combattant", he comes back with this project to put a bit of primordial lightness in a rainy world. Jongler is a tribute to the African culture in honor of a father with "Sawa" origins, the tribe from the people of Makossa. Jojo Ngallé, Moni Bilé, Pain, Manu Dibango, Franco, Rochereau, Kabaselé, Fela, François Nkotti & The Black Style, all these legends' music has turned on the family turntable and the collection whetted the child's appetite. Through this new trip, Kalla revisits styles that are sometimes little-known to Western audiences, such as high life, makossa, Angolan music, afrobeat, afro-disco, and others. One could talk about "Franc CFA", one could talk about Jacques Foccart, but it's better to dance, because "the dancer seems naive, but his feet must be connected with earth to understand history." Backed by the Super Mojo Disco, a hyperactive band from Lyon with deep groove and positive energy, Pat Kalla offers us an anti-crisis project, where swaying and feel-good humor is mandatory! An album soon in the crates, beware; "c'est medicament" (it's medicine)! Discover Le Deltaplane, fifth album by Andre Solomko, and third produced on Favorite Recordings, pursuing a collaboration that started before 2013. Born in Ukraine in 1965 and now based in Finland, Andre Solomko is primarily a rich and engaging personality, but above all, a brilliant saxophonist, composer, and engineer, whose contagious passion cannot leave anyone indifferent. After beginning a meteoric career in USSR, fate led him to Finland, where he started the adventure Vinyl Jam, a label/studio/group. It resulted in two self-produced albums that will capture the attention of some international collectors, including Pascal Rioux (founder of Favorite Recordings). Between 2012 and 2014, they released two albums together, Où es-tu maintenant? (FVR 070LP, 2012) and Le Polaroid (FVR 092LP, 2014), hailed by many tastemakers and meeting notable success in Japan. Following Le Premier Disco Sans Toi (FVR 138EP, 2018), an acclaimed single, unveiling two new compositions with disco flavors, Andre Solomko and Favorite Recordings present Le Deltaplane. Fully composed and arranged by Andre Solomko, the six tracks of the album are deeply infused with his longtime passion for jazz-funk and movie soundtracks, this time also injecting more influences from west coast and modern soul music. Andre's backed again by a team of great musicians, recording and producing the album in analog like he always did. As for vocals and lyrics, he teams up with Charlotta Kerbs, a young emerging and talented singer from Helsinki. Andre Solomko, an artist who spreads love like in the good old days. CD version includes three bonus tracks. LP version. Discover Le Deltaplane, fifth album by Andre Solomko, and third produced on Favorite Recordings, pursuing a collaboration that started before 2013. Born in Ukraine in 1965 and now based in Finland, Andre Solomko is primarily a rich and engaging personality, but above all, a brilliant saxophonist, composer, and engineer, whose contagious passion cannot leave anyone indifferent. After beginning a meteoric career in USSR, fate led him to Finland, where he started the adventure Vinyl Jam, a label/studio/group. It resulted in two self-produced albums that will capture the attention of some international collectors, including Pascal Rioux (founder of Favorite Recordings). Between 2012 and 2014, they released two albums together, Où es-tu maintenant? 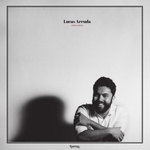 (FVR 070LP, 2012) and Le Polaroid (FVR 092LP, 2014), hailed by many tastemakers and meeting notable success in Japan. Following Le Premier Disco Sans Toi (FVR 138EP, 2018), an acclaimed single, unveiling two new compositions with disco flavors, Andre Solomko and Favorite Recordings present Le Deltaplane. Fully composed and arranged by Andre Solomko, the six tracks of the album are deeply infused with his longtime passion for jazz-funk and movie soundtracks, this time also injecting more influences from west coast and modern soul music. Andre's backed again by a team of great musicians, recording and producing the album in analog like he always did. As for vocals and lyrics, he teams up with Charlotta Kerbs, a young emerging and talented singer from Helsinki. Andre Solomko, an artist who spreads love like in the good old days. Favorite present Combattant, the first EP by Pat Kalla. Produced by Bruno "Patchworks" Hovart. 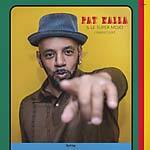 Born in Lyon, Pat Kalla explores from his childhood the soul, the slam, the funk... and the art of telling stories. After years of touring alongside many bands (Conte & Soul, Legend Of Eboa King, Mento Cloub, Voilaaa Sound System), he comes back with this project to put a bit of primordial lightness in a rainy world: a tribute to the African culture in honor of a father with Sawa origins. He revisits high-life, makossa, Angolan music, Afrobeat, Afro-disco, and others. Features a remix by Voilaaa. Favorite Recordings present Le Premier Disco Sans Toi, new single EP by Ukraine-born Finland-based Andre Solomko, pursuing a collaboration that started more than five years ago. With a forthcoming album planned for 2018, the EP unveils two new compositions with disco flavors. Andre's backed by a team of great musicians and vocalists, such as Mr Day and Lili Wagner on "Le Premier Disco Sans Toi" ("The First Disco Without You"), or Charlotta Kerbs on "Moonbeach Disco". 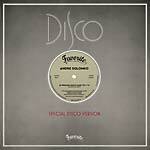 And if not really the first, this disco journey fits perfectly with Andre Solomko's jazz-funk style and sense of melody. Double LP version. Gatefold sleeve. They say that good things come in threes... it must be true. Favorite Recordings present the third edition of its acclaimed French Disco Boogie Sounds compilation series. Like on prior volumes, the complete track list is selected by label head honcho, Charles Maurice (aka Pascal Rioux), who's unearthed 13 more forgotten and hidden tracks, all produced either in France, in French, or by French artists between 1977 and 1987. 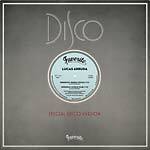 With most of these titles now very hard to find in their original edition, and unknown by many, this compilation is a must have for any disco-boogie-funk music lover and collector. Features Maya, NST Cophies, Paul Fathy, Judy Carter, Janet N'diaye Lokamba, Kké, Caramel, Yannick Chevalier, J.E.K.Y.S, Silence, Wally & Shane, Zorgus, and Joël Daydé. Fully remastered from originals at The Carvery Cut (UK). Double LP version comes in a gatefold sleeve. They say that good things come in threes... it must be true. Favorite Recordings present the third edition of its acclaimed French Disco Boogie Sounds compilation series. Like on prior volumes, the complete track list is selected by label head honcho, Charles Maurice (aka Pascal Rioux), who's unearthed 13 more forgotten and hidden tracks, all produced either in France, in French, or by French artists between 1977 and 1987. With most of these titles now very hard to find in their original edition, and unknown by many, this compilation is a must have for any disco-boogie-funk music lover and collector. Features Maya, NST Cophies, Paul Fathy, Judy Carter, Janet N'diaye Lokamba, Kké, Caramel, Yannick Chevalier, J.E.K.Y.S, Silence, Wally & Shane, Zorgus, and Joël Daydé. Fully remastered from originals at The Carvery Cut (UK). 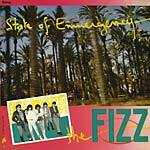 Double LP version comes in a gatefold sleeve. Favorite present an official album reissue of Sunshine by Junior Byron, originally released in 1981. A real modern-soul/disco masterpiece, Sunshine was originally released by the Canadian label Formula Records and it's very hard to find today. Based in Canada, Junior Byron had quite a short career as a singer and recorded only a few singles and this stunning album between 1981 and 1985. Produced by André Perry and Joe La Greca, two famous names in the Canadian music scene, Sunshine is not just a one track album, but a complete whole piece of music, including some brilliants highlights such as "Inch By Inch", "Galaxy", or "Sunshine", which are must-haves in many DJ lists. As another longtime favorite collectable piece for Charles Maurice, Favorite Recordings finally officially reissue Sunshine for the first time on vinyl. In order to insure the best sound quality, the original track list, originally dispatched on a single vinyl release, has been dispatched on a double vinyl version, which should please all DJs and music collectors. Favorite Recordings and Charles Maurice proudly present the third edition of their acclaimed AOR Global Sounds compilations series. 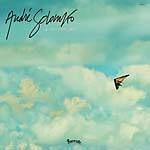 Another brilliant selection of 14 rare and hidden tracks, produced between 1976 and 1985 in various parts of the world. 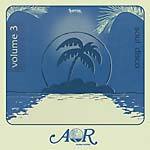 On AOR Global Sounds Volume 3, DJ and producer Charles Maurice delivers, again, a fine overview of the AOR and West Coast influences for many artists in the late '70s and early '80s. Even more than on previous volumes, he selected highly forgotten productions, deeply infused with disco and soul flavors. Many of these great gems were naturally produced through all the USA, often made by artists with a very short career and as private press. For example, Jeff Silna only recorded the amazing "It's Always Something With You" after winning the competition of a long gone Miami radio station. The Stratus project started around 1974 in Rhinelander, Wisconsin, and was in a band led by Bob Ackley, who only released this 7" single in 1976 after recording a full album and doing a few gigs around Michigan. John Kontol (Jon Konteau), having credits for a few productions and appearances and still acts as a musician, never released another LP after his heartbreaking experience with Erect Records who never rewarded him for his work and even change his name against his consent. As for "Dirt (In The Sky)", by 7 Days Unlimited whose members were both from Pittsburgh area where a lot of dirt was literally flying in the air, the song was released in 1980 on a very limited 500 copies 7" single. But these kind of stories and waste of talent is not solely an American privilege, from Willy Santana (member of Placa Luminosa) in Brazil, and Funky Team in Sweden, to Stacey and Out Of The Fog in Canada, this third edition proves again the international scope and fervor of this music scene, and the surprising amount of great music that go unnoticed at that time. Fully remastered from originals, with great attention to sound quality as always. Also features: James D. Hall, George Nasif, Omega Sunrise, Steve Turner, Billy Always, and Archie James Cavanaugh. Double LP version. Gatefold sleeve. Favorite Recordings and Charles Maurice proudly present the third edition of their acclaimed AOR Global Sounds compilations series. Another brilliant selection of 14 rare and hidden tracks, produced between 1976 and 1985 in various parts of the world. On AOR Global Sounds Volume 3, DJ and producer Charles Maurice delivers, again, a fine overview of the AOR and West Coast influences for many artists in the late '70s and early '80s. Even more than on previous volumes, he selected highly forgotten productions, deeply infused with disco and soul flavors. Many of these great gems were naturally produced through all the USA, often made by artists with a very short career and as private press. For example, Jeff Silna only recorded the amazing "It's Always Something With You" after winning the competition of a long gone Miami radio station. The Stratus project started around 1974 in Rhinelander, Wisconsin, and was in a band led by Bob Ackley, who only released this 7" single in 1976 after recording a full album and doing a few gigs around Michigan. John Kontol (Jon Konteau), having credits for a few productions and appearances and still acts as a musician, never released another LP after his heartbreaking experience with Erect Records who never rewarded him for his work and even change his name against his consent. As for "Dirt (In The Sky)", by 7 Days Unlimited whose members were both from Pittsburgh area where a lot of dirt was literally flying in the air, the song was released in 1980 on a very limited 500 copies 7" single. But these kind of stories and waste of talent is not solely an American privilege, from Willy Santana (member of Placa Luminosa) in Brazil, and Funky Team in Sweden, to Stacey and Out Of The Fog in Canada, this third edition proves again the international scope and fervor of this music scene, and the surprising amount of great music that go unnoticed at that time. Fully remastered from originals, with great attention to sound quality as always. Also features: James D. Hall, George Nasif, Omega Sunrise, Steve Turner, Billy Always, and Archie James Cavanaugh. 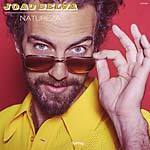 Favorite Recordings present Natureza, the first album by Joao Selva. The story of Natureza starts with the meeting between two passionate artists, Jonathan "Matuto" Da Silva and Bruno "Patchworks" Hovart. Born and raised in Ipanema and son of a pastor, Jonathan Da Silva grew up in a community of ex-prisoners and converted artists. He made his first guitar notes before his tenth birthday, under the watchful eye of Wanda Sa, and influenced by a father, who was a true music lover with a collection where black music, rock, and classical met. From the age of 18, Jonathan began a life of entertaining, traveling the world to offer shows for disadvantaged children and intensively practicing the Brazilian traditional music and arts. It was later in France and in Lyon that he put down his instruments. There he formed the trio Forro De Rebeca in 2008, touring the country to high praise. The trio joined forces with American producer Maga Bo on the project Sociedade Recreativa, who released an album in 2016. Bruno Hovart is a recognized producer, multi-instrumentalist, and remixer. After passing through Angers, Birmingham, and London, he has been based in Lyon since 2001. Bassist and guitarist for various bands, he switched to production in the mid-90s. Passionate about music and tireless creator, Bruno has practiced in almost every imaginable style, when it comes to groove music, collecting many aliases and projects for more than ten years: Patchworks, Voilaaa, Uptown Funk Empire, Mr President, Taggy Matcher, Mr. Day, Hawa, John Milk, Lightnin 3, The Dynamics or Metropolitan Jazz Affair. When he discovered Jonathan and his music, Bruno saw an immediate opportunity to broaden the spectrum of his discography a little more, by looking at Brazil. Beyond its traditional heritage, Brazil has always been a land of extremely varied music, influenced by the international scene. Soul, jazz, and American pop inspired many local stars such as Chico Buarque, Carlos Jobim, Gilberto Gil, Tom Zé, or Erasmo Carlos. Both fervent lovers of this movement and these names, it's with the idea to pay them a faithful tribute, that Jonathan and Bruno began the Joao Selva adventure. Together they gave birth to Natureza embarking on a trip into the heart of the tropicalist pop influences of Jorge Ben and Caetano Veloso, the intoxicating funk of Tim Maia, and the social poetry of Vinicius De Moraes. Voilaaa is one of the many projects led and produced by Bruno "Patchworks" Hovart, who has proven to be amongst the finest producers of groove music in all genres. Exploring the wide spectrum of the African and tropical disco scene, he received massive international support for Voilaaa's first album, On Te L'avait Dit (FVR 107CD/LP, 2015). Voilaaa has not finished feeding international dancefloors with heavy Afro-disco vibes. If any would doubt that, here comes a hot remixes single package, with Dimitri From Paris and Africaine 808 at the control. 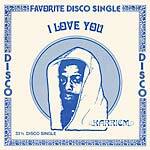 Favorite Recordings presents an official single reissue of I Love You by Karriem, a very rare soulful mid-tempo disco killer, originally released in 1979 on Pashlo Records. Pashlo Records, based in Oakland, was owned by Leroy Smith. 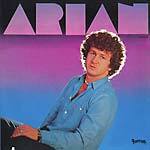 The label had quite a short life between the middle '70s and early '80s, producing only singles from mostly unknown artists. Among them was this brilliant release by Karriem. Unearthed again in Charles Maurice's collection, and officially licensed to Leroy Smith, it's today reissued on vinyl for the first time. Housed in a classic tip-on jacket. LP version. 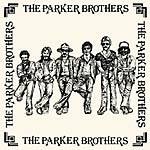 Favorite Recordings present an official album reissue of The Parker Brothers's self-titled album, released in 1985. Maybe one of the best blue-eyed-soul/modern-soul private press albums you can imagine, The Parker Brothers is surprisingly highly unknown and underrated. 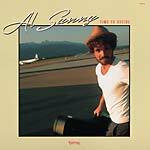 Produced in 1981 by George P Grexa and released in a private-press version on his label Crown Vetch Enterprises, this album is filled with memorable material from the first note to the last, mixing modern-soul, boogie, cross-over jazz and rock elements, for a result reminiscent of the west-coast music's golden years, however being recorded in Pittsburgh. A longtime favorite collectable piece for Charles Maurice, The Parker Brothers is finally, officially reissued from the original master tapes for the first time on vinyl. Double LP version. Gatefold sleeve. Voilaaa is one of the many projects led and produced by Bruno "Patchworks" Hovart, who has proven, over the past 15 years, his place amongst the finest producers of groove music in all genres. On Voilaaa's first album On Te L'avait Dit (FVR 107CD/LP, 2015), they explored the wide spectrum of the African and tropical disco scene and received massive international support. 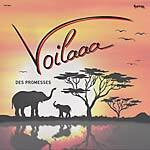 Pursuing the same direction of combining the festive, yet sometimes futile nature of disco, and the instinctive, deep, sometimes rough nature of African music, Voilaaa's presents its second full-length effort, Des Promesses. The 13 tracks of the album meet the expectations, and Voilaaa have not finished feeding international dancefloors with heavy Afro-disco music. Alongside Bruno at the production are singers Pat Kalla and Sir Jean providing their carefree lyrics and Afro vibes, and Senegalese artist Doctor Lass comes to extend the team, with three brilliant titles, including a great funky cover of Salif Keita and Les Ambassadeurs Internationaux's classic, "Mandjou". Also features: Hawa, Fouley Badiaga, and Tout Le Monde. Favorite Recordings present an official album reissue of The Parker Brothers's self-titled album, released in 1985. Maybe one of the best blue-eyed-soul/modern-soul private press albums you can imagine, The Parker Brothers is surprisingly highly unknown and underrated. Produced in 1981 by George P Grexa and released in a private-press version on his label Crown Vetch Enterprises, this album is filled with memorable material from the first note to the last, mixing modern-soul, boogie, cross-over jazz and rock elements, for a result reminiscent of the west-coast music's golden years, however being recorded in Pittsburgh. A longtime favorite collectable piece for Charles Maurice, The Parker Brothers is finally, officially reissued from the original master tapes.